"Game of Thrones." "The Hobbit." "A Clash of Kings." And of course, everything Harry Potter. Even in a time when fantasy as a genre in books, games, movies and television is flourishing, Dora Machado stands out. 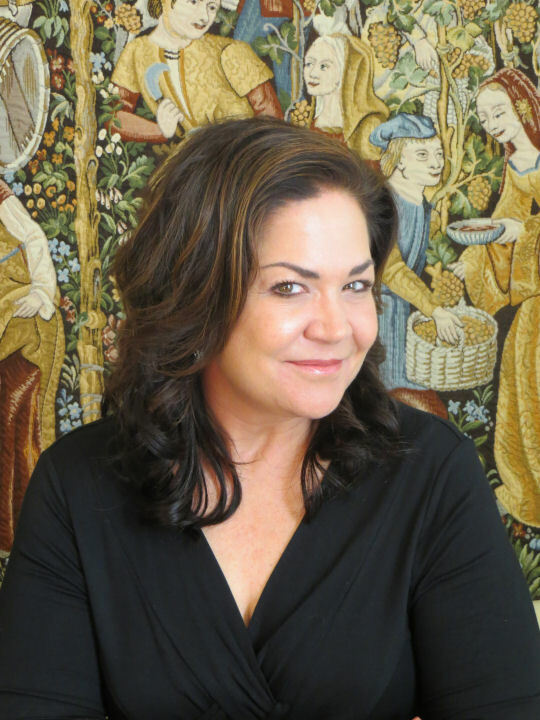 As a Latina who was born in Michigan, but raised in the Dominican Republic, Machado early acquired a sense of the "different worlds" that surround us all the time, giving a poignancy and truth to her writing. 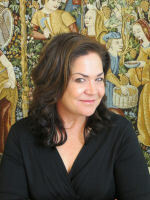 Her first, award-winning, "Stonewiser" trilogy launched her reputation among fantasy fans, and her new book, "The Curse Giver" (ebook July 15, 2013; print October 15, 2013, Twilight Times Books), will augment it. As Machado explains it, "'The Curse Giver' is about an innocent healer called Lusielle, who is betrayed and condemned to die for a crime she didn't commit. When she's about to be executed, Lusielle is rescued by an angry, embittered lord doomed by a mysterious curse. What ensues is a dangerous journey, where Lusielle and Bren have to escape their ruthless enemies and unravel the mystery of the terrible curse. They also have to overcome the distrust they have for each other, fight the forbidden attraction between them, and work together to defeat the curse giver who has already conjured their ends." The Weeki Wachee, Florida resident took a different path to becoming an author, raising her children first before devoting full-time to writing, which she currently does. But her own dramatic family history set the stage. As she describes in Mayra Calvani's upcoming book, "Latina Authors and Their Muses," "I grew up in the city of Santo Domingo, where I lived until I graduated from high school. My grandfather had to flee the Dominican Republic because he opposed Rafael Trujillo...[He] stole out of the country on a freighter in the middle of the night and raised his family in Venezuela. With lots of effort, he sent my dad to the University of Michigan. By the time he graduated, Trujillo had been assassinated, the regimen had fallen and my grandfather was back in the Dominican Republic trying to reclaim his old life. My dad went back to help his father, and ended up raising his family there." In the interview, Machado describes her writing style as "mixed...When I write a paragraph, I like to combine English's short, precise, technical sentences with longer, more intricate sentences that are very common in the Spanish language. I typically like my dialogue short, crisp and to the point, but I like my descriptions rich and maybe even intricate at times...more elaborate and formal, evoking Spanish's more lyrical style, which I like...I like sentences that flow and paragraphs that sing. I guess that's also part of my Spanish-language heritage." Asked about the connection between fantasy and Latin culture, she responds: "I think that Latin American cultures have a unique and powerful tradition of fantasy. We don't just read fantasy; we feel it in our daily lives and embrace it as part of our existence. Fantasy is incorporated into our beliefs. It's part of who we are, built-in, if you will...Maybe that's why I write fantasy so easily. A wondrous sense of fantasy resides at the core of Spanish literature." The author was traveling in Peru when she was writing "The Curse Giver." "We got to Cuzco, Peru, and we discovered that thousands of people had gathered to celebrate the Mama Pacha festival. The Mama Pacha is an ancient goddess associated with Mother Earth in Quechuan beliefs. I was fascinated and intrigued by the sense of closeness between these people and their gods, as the faithful climbed this huge mountain and spent days and nights worshipping on a frigid glacier. It was a powerful experience, one that I will never forget, and it inspired 'The Curse Giver''s mythology." To arrange an interview with Dora Machado, please contact Janis Hashe, OpenLines Communication, (423) 622-2862. 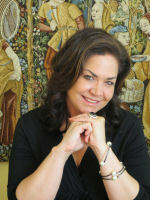 Dora Machado is the winner of the 2009 Benjamin Franklin Award for Best Debut Novel; a finalist for the 2009 ForeWord Book of the Year Award for Science Fiction and Fantasy; the winner of the 2010 Independent Publisher (IPPY) Gold Medal for SF/F; a finalist for the 2010 ForeWord Book of the Year Award for SF/F; the winner of the 2012 Independent Publisher (IPPY) Silver Medal for SF/F; a finalist for the 2012 ForeWord Book of the Year Award. Dora Machado is the award winning author of the Stonewiser trilogy and her newest novel, The Curse Giver. She is one of the few Latinas exploring her heritage and her world through the epic fantasy genre today. Her first novel, Stonewiser: The Heart of the Stone, won the 2009 Benjamin Franklin award for best debut novel. Her second novel, Stonewiser: The Call of the Stone, won the 2010 Independent Publishers Book Award's (IPPY) Gold Medal for Best Science Fiction/Fantasy book of the year. Her third novel, Stonewiser: The Lament of the Stones, won the 2012 Independent Publishers Book Award's (IPPY) Silver Medal for Best Science Fiction/Fantasy book of the year. All three novels were finalist in ForeWord Magazine for Book of the Year in the Science Fiction and Fantasy Category. Her latest novel, The Curse Giver from Twilight Times Books is available July 2013.